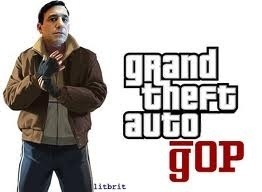 Why Is a Car Thief the Chairman on Oversight and Reform? In the early 1970’s this man was suspected not once but twice of grand theft auto. He also is highly suspected of burning down his warehouse to collect the the insurance money. Meet the Chairman on Oversight and Government Reform, Darrell Issa. He tries to deny his past. He minimizes the arson, car theft and even an accusation of waving a loaded gun around, although he can’t remember that. I’m absolutely certain I’ve never even held a loaded gun, but Mr. Issa’s memory is fuzzy. He says he was just a kid….just a kid? In 1980, when Issa was indicted for felony auto theft, he was 27 years old. In 1982, when he was under suspicion for the arson fire, he was 29 years old. Just a kid? Too long ago to remember? I guess for a Teabagger, that’s considered history. They’re not terribly into academics. Just look at their signs. Now on to the unpleasant business at hand with our Attorney General, Eric Holder. Essentially, Darrell Issa wants Mr. Holder to stop going after states like Pennsylvania and Florida who are practicing voter suppression, which is the only way a state like Pennsylvania would go for Willard Romney. Nancy Pelosi, House Minority Leader, is on to Issa’s witch hunt of Holder. 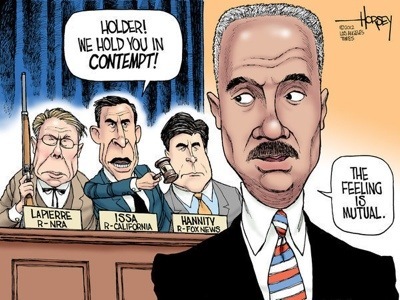 During the probe of the Fast and Furious program, AG Holder has been more than cooperative. He was subpoenaed and testified nine times. The DOJ provided well over 7,000 pages of requested documents. 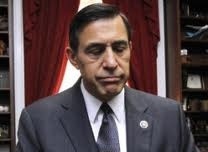 This entire contempt charge is complete garbage, even Issa knows it. But he’s a fame whore who knows this is the only way to thrust attention upon himself. Before he held public office he helped fund Proposition 209, a 1996 California ballot initiative that banned affirmative action in public institutions. In 2003 he got national attention for financing the successful effort to recall former California governor Gray Davis. He felt slighted when the GOP picked Schwarzenegger over him for the Sacramento job. Ever since, he’s been trying to make a name for himself. Generally he chooses the least ethical ways to do so. He’s routinely blocked any efforts by Congress to regulate Wall Street. He’s even taken a Goldman Sachs Vice President as a staffer. He’s also blocked the investigation of Goldman Sachs while profiting immensely from their questionable activities. If any American feels this shady character is justified or qualified to hold an Obama cabinet member in contempt, they need to take a closer look at who is conducting these hearings and the real reason he is doing it. It’s a simple answer: to increase the power of the oligarchical GOP. Funny how he’s escaped prosecution for real crimes and tries to prosecute reputable people for imagined ones. Update: September 20, 2012: Attorney General Holder cleared of wrongdoing in the Fast and Furious case as expected. Issa truly should go back to alarming cars because there are plenty of guys just like him out there. Previous Post Another Canadian Perspective: Why is the GOP Obsessed With Genitalia? Another great job—Issa just makes me want to.. well, you know what I mean. He’s evil, just out and out pure evil! He’s really the epitome of scum and completely devoid of ethics. Thanks for reading!